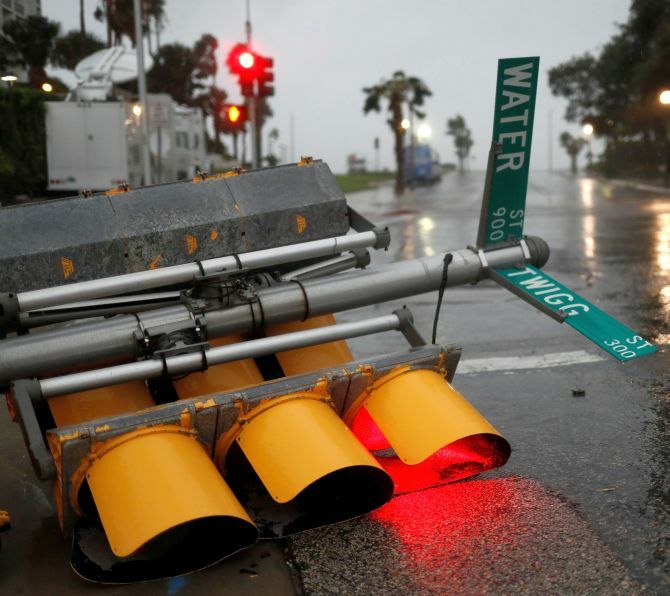 Tropical storm Harvey, the most powerful hurricane to hit the United States mainland in 12 years, on Saturday made landfall in central Texas coast with winds of 195 kmph, taking aim at the state’s oil refining industry and knocking out power in more than two lakh homes. 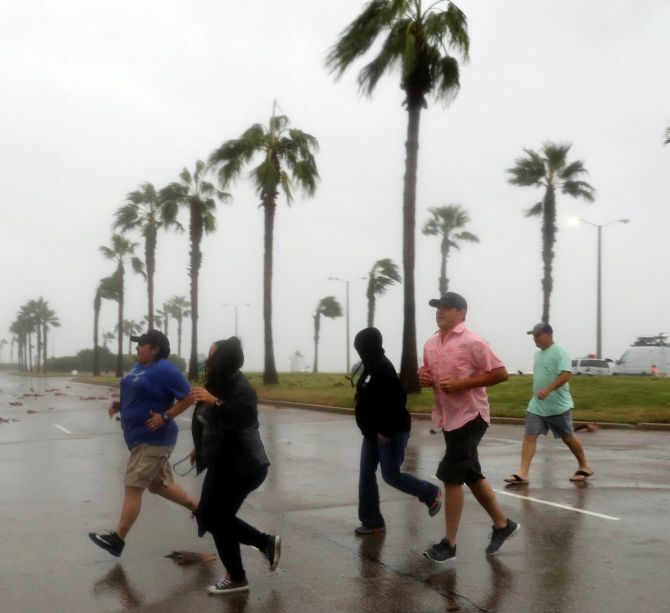 The National Hurricane Centre said Harvey made landfall between Port Aransas and Port O’Connor in Texas, the US state where roughly 17 per cent of America’s crude oil output and nearly half of the country’s refining capacity is located. Houston, the most populous city in Texas, is home to the country’s largest refinery and petrochemical complex. 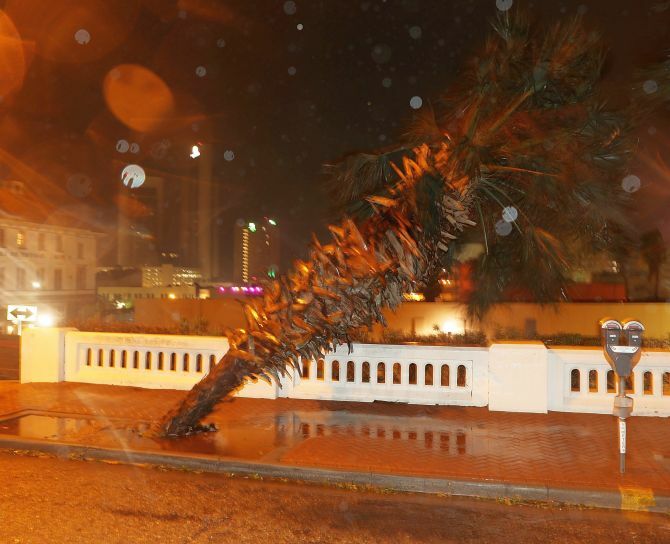 The storm, a Category 4 hurricane which was later downgraded to Category 1, had maximum sustained winds of 195 kmph. 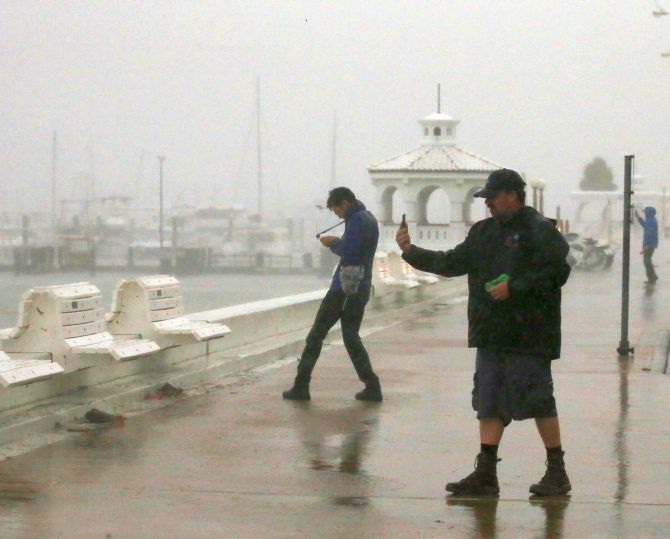 Resulting floodwaters were expected to reach 6 to 12 feet above ground level along the coast. Harvey has impacted the Electric Reliability Council of Texas electric system, with 250,000 customers without power. It is the most powerful hurricane to hit the US mainland since 2005. Its effects could linger for days, with heavy rainfall through next week estimated to 40 inches in some areas. 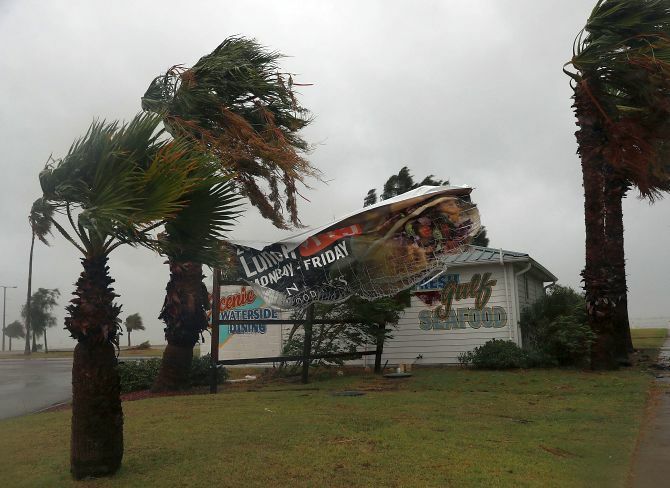 Millions of residents along the south Texas coast saw hurricane-force winds that uprooted trees and power poles. 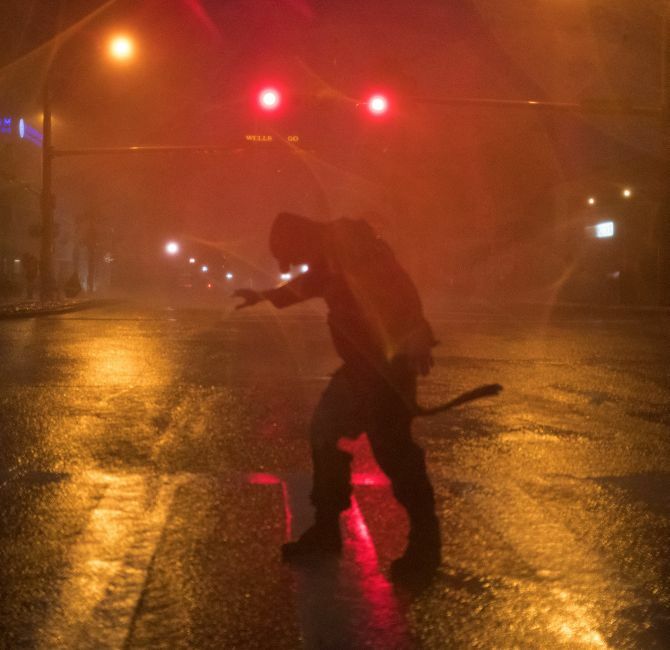 They had frantically stocked up on food, water and gas, while others heading out of the storm’s path boarded up windows and doors of their homes and businesses. 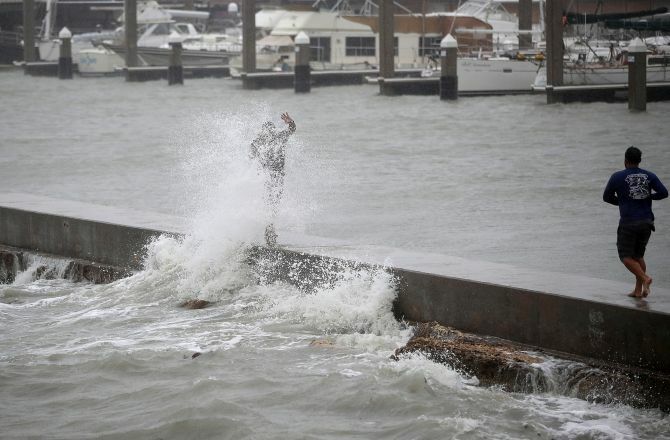 Airlines cancelled flights, schools were shuttered while concerts and other events in Houston and other coastal cities were postponed. Thousands of cruise ship customers waited offshore until their vessels were able to dock safely. At least 15,000 people aboard three Carnival Cruise Line ships scheduled to return to Galveston this weekend were delayed or detoured due to the hurricane. 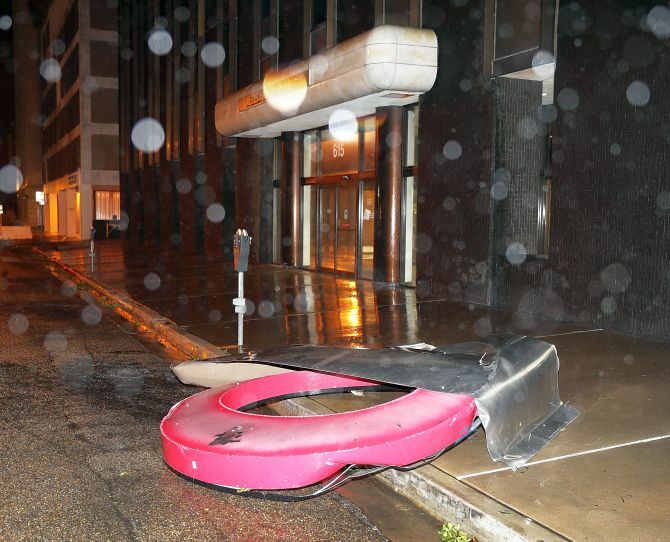 Houston Mayor Sylvester Turner said the city was “expecting a lot of rain, not too much wind. Let’s assume there will be a lot of rain. The rain could come out of the bayou and overcome our capabilities”. Harvey is the first natural disaster faced by the Donald Trump administration. Before the landfall, Trump signed a disaster proclamation for Texas, freeing up federal funds for assistance. He tweeted that he had spoken with the governors of Texas and Louisiana and was “here to assist as needed”. Earlier in the day, Texas Governor Greg Abbott had asked Trump to pre-emptively declare Harvey a “major disaster” in order to speed federal aid. Highways leading from coastal areas were jammed as authorities issued urgent warnings to hundreds of thousands of residents to flee. Some highways were to be turned into one-way roads to speed the exodus from the storm zone. A day before, oil and gas companies scrambled to prepare for Harvey, which developed so quickly in the Gulf of Mexico that many of them didn’t have time to respond. Royal Dutch Shell shut down and evacuated its 22-well Perdido oil and gas hub, the deepest floating oil platform in the world, the company said. Other major companies, including ExxonMobil and Anadarko, also began scaling back production. Oil analysts predict it could take more than three weeks for refineries in its path to resume normal operations.